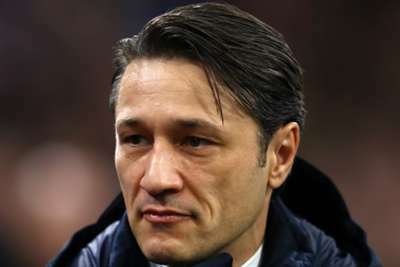 Niko Kovac enjoyed Bayern Munich's "amazing" 3-3 draw with Ajax, but felt an incorrect decision cost his side victory. A thrilling Champions League encounter in Amsterdam on Wednesday finished level after Nicolas Tagliafico's 95th-minute equaliser saw Ajax grab a point in Group E.
Kingsley Coman had given Bayern a 90th-minute lead after both teams had been reduced to 10 men, with Robert Lewandowski and Dusan Tadic earlier scoring braces. But while Kovac felt referee Clement Turpin had a good game – awarding two penalties and red cards to Maximilian Wober and Thomas Muller – the Croatian felt Ajax's equaliser should have been ruled out for offside. "The red card for Wober was totally justified because he took on that challenge in a negligent way," he told a news conference. "The red card for Thomas was fair as well. He didn't see the player but you have to be aware of your opponent coming at the ball at your back. Both penalty decisions correct. Both red cards correct. "The referee did well, except in the case of the goal that made it 3-3. I'm not a referee but I think it was offside." Bayern finished top of Group E, having only dropped points in their two draws with Ajax. Kovac was satisfied with his team's performance, having led and then come from behind after Tadic's double. "I think we were part of an amazing football game. Both teams played at a high level and played with a pressing style," he said. "We didn't want to give Ajax too many opportunities for counter-attacks. That's why we played a bit more defensively and had one or two very good counter-attacks ourselves in the first half. "Our first goal was well deserved but then we lost the ball too easily and conceded goals."